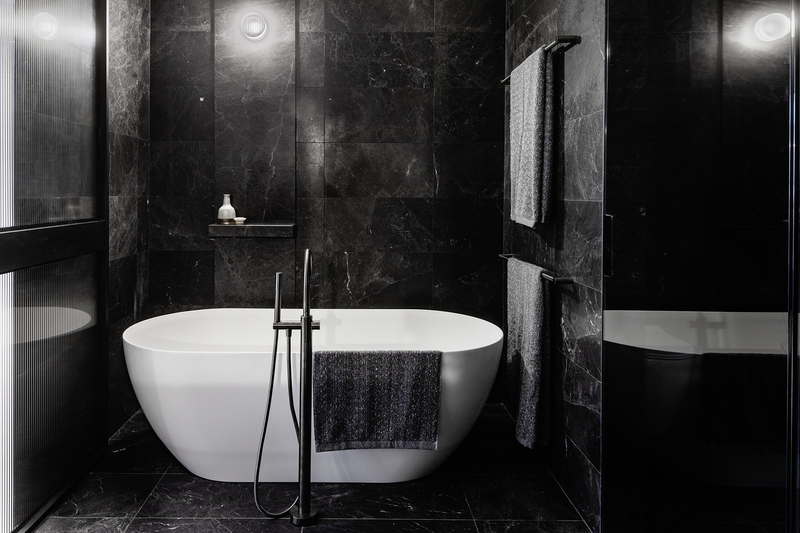 Hecker Guthrie, Jackson Clements Burrows (JCB) Architects, and developer Piccolo have come together for the third time to create a collection of 34 apartments, which pay homage to the heritage of the site. Located on the corner of Argyle Street, the site is included within the South Fitzroy Heritage Overlay Precinct and is surrounded by several buildings from the mid-nineteenth century. The apartment building, called Fitzroy House, will retain its heritage red brick façade, the remnants of its origins as a boot maker’s shop in the 1880s. Set on bluestone foundations, the building features arched windows and door openings, bluestone window sills, faded painted signage and a prominent chimney – all of which will remain intact. The 34 apartments will be spread across seven levels, with either side of the retained heritage fabric presenting to the street at four storeys, while the higher levels have been set well back from the facades. The setbacks of the upper levels reduce the development’s apparent vertical scale and allow it to assimilate to its environment. Founding director of JCB Architects Tim Jackson says the heritage aspect of the building and its location were pivotal when approaching the design. 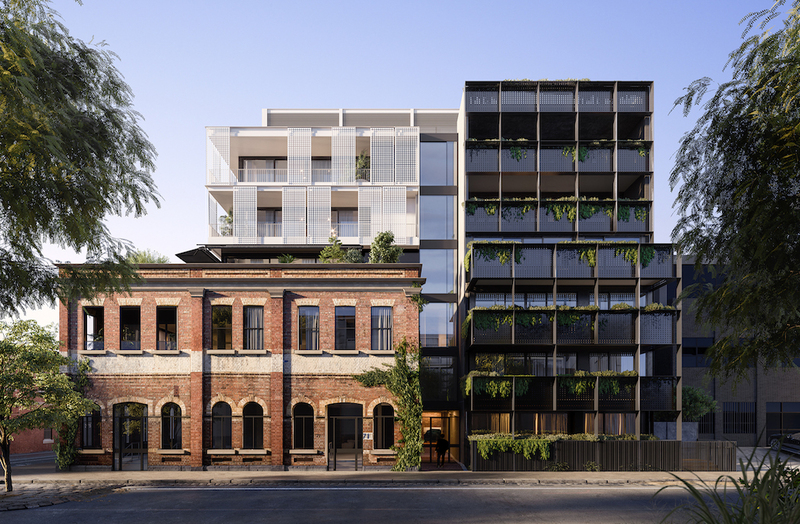 “ Our approach involved finding a way to sensitively frame and position a new residential building that will be an engaging part of this historic precinct that is so highly valued by its local community,” says Jackson. 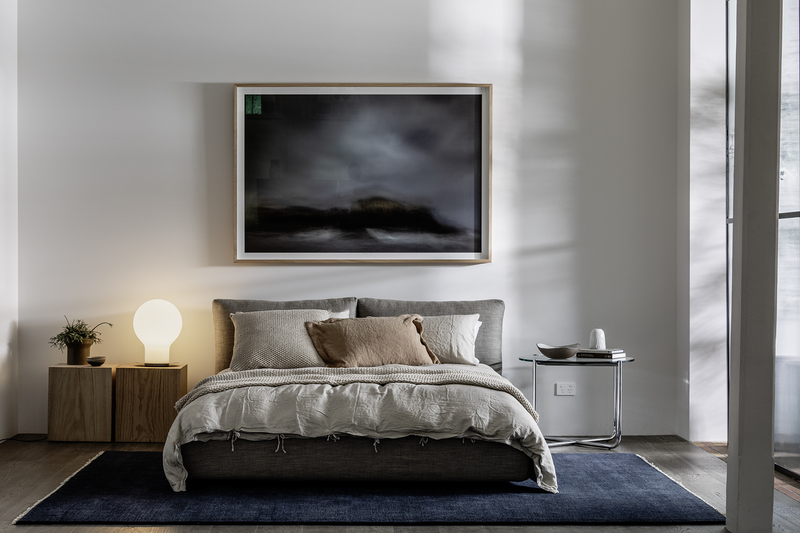 This nod to the site’s history is also reflected in the interiors, designed by Hecker Guthrie to represent the enduring nature of Fitzroy with a contemporary edge. “ We took references from the origins of the site’s environment and expressed this through the materiality,” said founding director Hamish Guthrie. Apartments are one, two or three bed, with oversized bedrooms, wide corridors and tall ceilings.